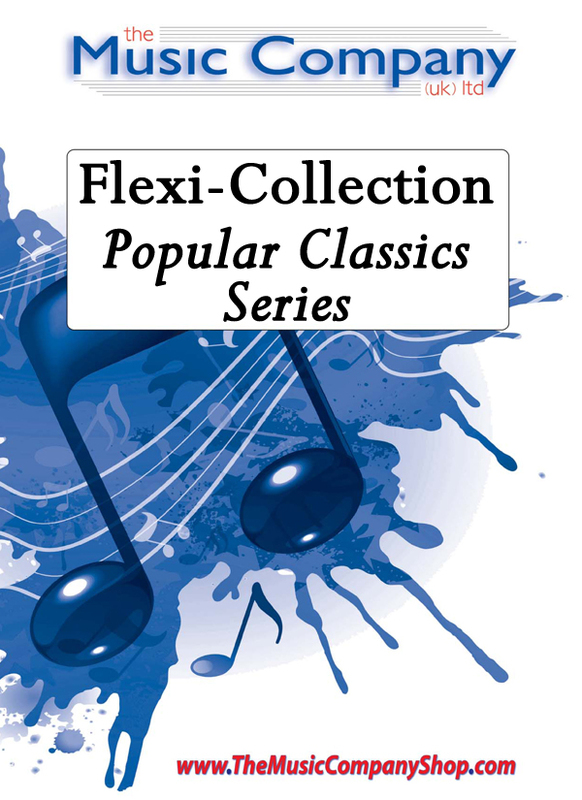 This arrangement is fairly difficult for inexperienced players and is without doubt one of the most difficult in the Flexi-Collection Popular Classics Series. But, as it is such a popular piece there is normally a great incentive from the players to learn the piece, despite the difficulties. The accelerando and gradual increases in tempo which are integral to this piece are in themselves very important musical ideas for new players to grasp, and these will be better understood as a result of playing and learning this arrangement. Other features found in this arrangement which may be new to some inexperienced players are the use of tin mutes in the 1st Cornet/Trumpet part, and the falling chromatic notes (accidentals) found in the melody line. Also, the wide range of dynamics, pp – ff , may be new to some players. I have deliberately not suggested any specific metronome markings as this is very much up to the conductor and is dependant on the players’ abilities. However, as the arrangement becomes more familiar, the tempo could no doubt be speeded up adding to the excitement of future performances.